Standard Chartered Marathon 2015: 5 & 6 December 2015. – Pain. Health. Exercise. Standard Chartered Marathon 2015: 5 & 6 December 2015. It is one week to the Standard Chartered Marathon Singapore 2015. Are you READY for your run? More importantly, are you PREPARED? 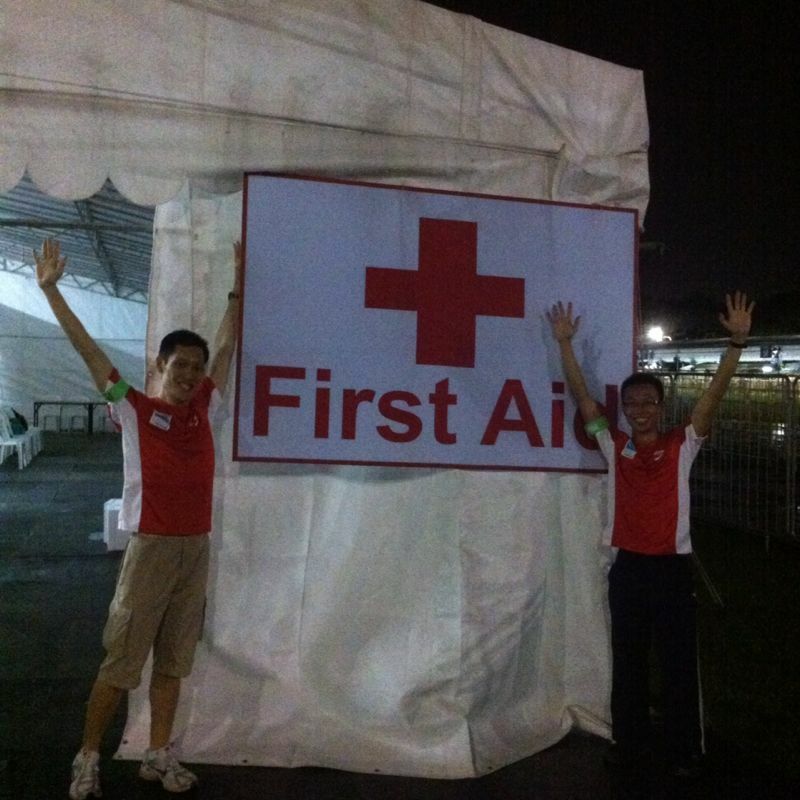 After working as a physiotherapist covering the first aid tent at the Standard Chartered Marathon in 2013 and 2014, I have good experience to say that injuries that occur at large scale events come in all shapes and sizes. From the unexpected (little kids who fell and grazed their knee badly, sprained ankles) to the totally expected (painful and swollen joints perhaps from insufficient training preparation), heat injuries, and the ‘attention-seekers’ (who wants to be pampered with a massage in the medical tent!??). 10-12 hour shift was something not everyone can handle! The most memorable experience that I can recall was providing help to this foreign runner who was blind. I accompanied him from the First Aid tent (finishing line) to pick up his medal and prize, through the muddy field and human crowd. That was interesting! Working with people who are clearly not thinking straight, probably from the dehydration as Singapore can be a tough place to compete with the high humidity. A Caucasian ex-colleague of my wife, who insisted that I do not tell her that he was admitted to the medical tentage for dehydration. He was set on drip. Hey, he came in with a good timing! Accompanying a runner’s friend to the bag collection area, probably 40 minutes walk to and fro (I am not kidding) as the runner is too weak to walk that far. There is nothing proud about telling someone that you have covered sporting events. It’s really nothing glamorous. It’s fun, though! Thanks for reading, and have a safe run! Previous Post Should you see a physiotherapist after low back disc surgery? Presenting the evidence.